The new Field Notes is out, and Brad and Myke play the guessing game of what each other think about the Fall 2017 edition. Spoiler alert: Duh. Casper: Because everyone deserves a great night sleep. 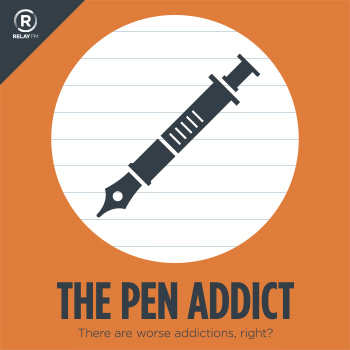 Get $50 off with the code ‘PENADDICT’. Sapelo - Penvelope Pen Addict Edition 2017 — Nock Co.
Jim Coudal on Twitter: "Field Notes X."